All parents will tell you they learn as much from their children as their children learn from them. This truth is poignantly captured in Raising Dad: What Fathers & Sons Learn from Each Other by father-son authors Thom and Art Rainer.It was Art’s idea to write from a grown child’s perspective this tribute to his father’s successes as a parent. Inviting his father Thom to write postscripts to these reflections, another tender truth emerged. 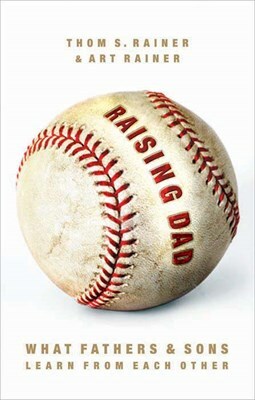 Dad’s memories about his own performance aren’t nearly as rose colored, giving those who read the book great inspiration to never stop growing and learning as a parent.All told, Raising Dad shares unforgettable lessons about faith, friendship, commitment, honesty, priorities—all the things that matter most in life between parents and children.